A good autumn tidy up. It's that time of year when we get round to all the jobs that we've been meaning to do for months/years but not had the time. Such as clearing away the pile of rubble left on the farmyard by builders last year, and that other pile of rubble from outside the polytunnels, and taking down the polytunnel destroyed by gales in February, and taking down the runner bean netting, and sorting out the composting area etc.... Tidying-wise it's been a very productive October and the farm is looking a lot better for it - thanks as always to all those who have helped out with these heavy and arduous tasks. 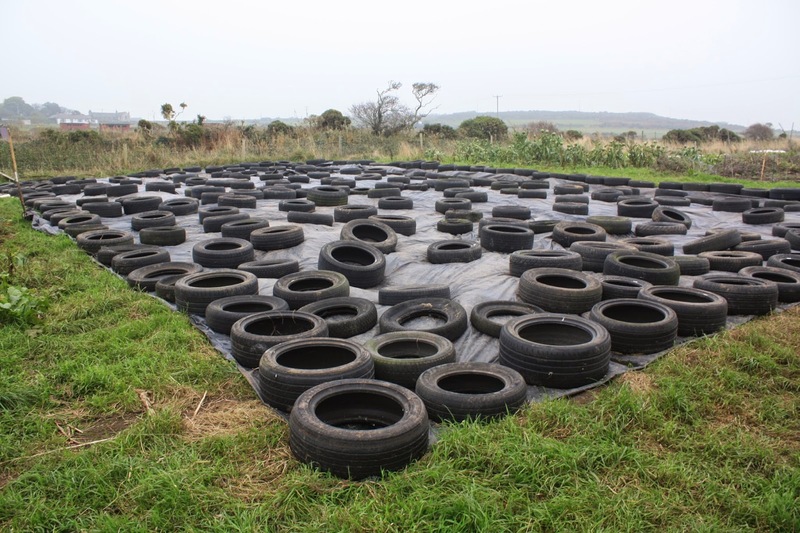 The composting area looking very neat. 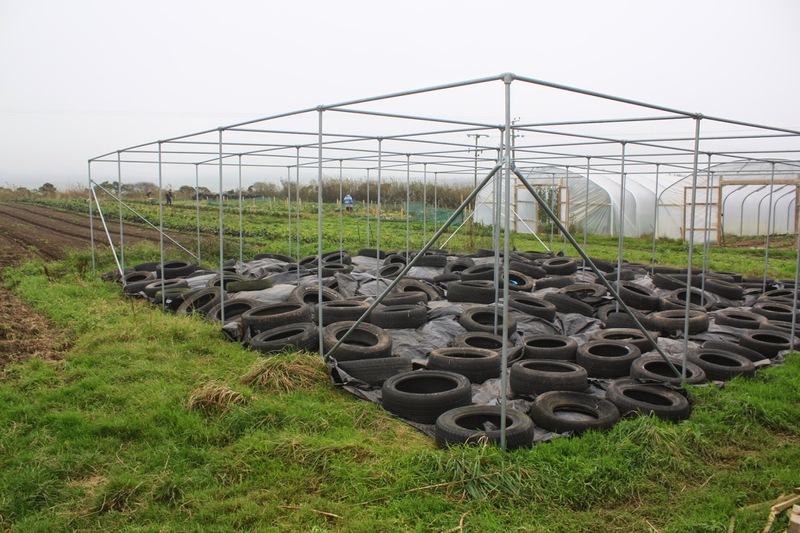 The fruit cage with weed suppressing mulch for over winter. 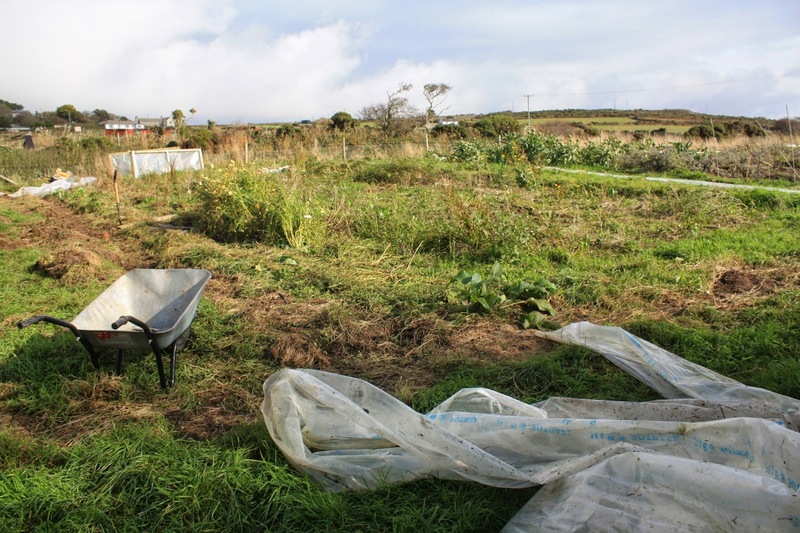 The site of our destroyed polytunnel after de-construction. And the same again mulched for the winter. 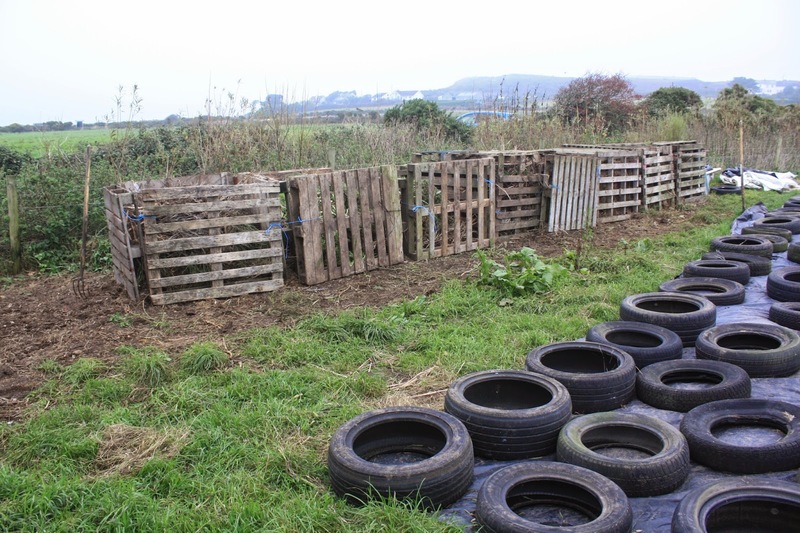 Many thanks to Stephane from Penzance/Nottingham, who came to work on the chicken sheds for a few days and ended up staying as a volunteer for one month - special thanks for tidying up the chard beds and the composting area. Good luck with your next farm and we hope to see you again some day. Stephane with his friends the chard plants. 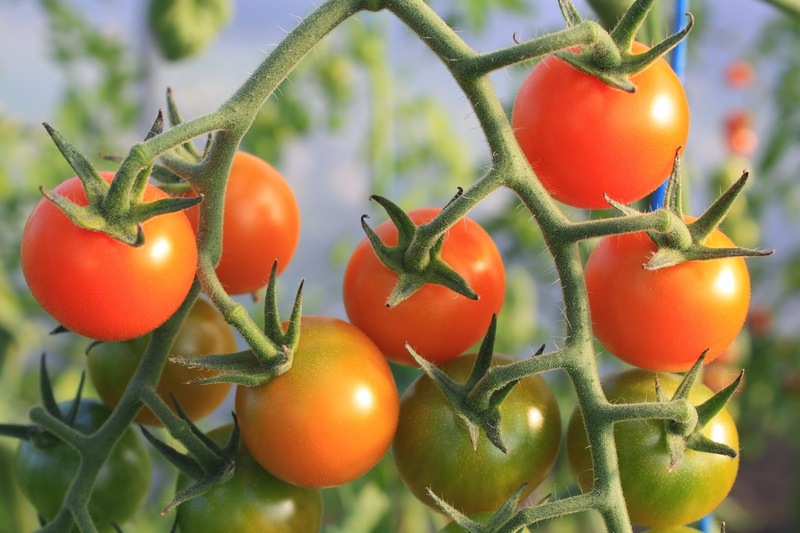 The long hot summer has been wonderful growing weather - giving the community farm our best ever crops of onions, courgettes, French beans, potatoes, radishes, tomatoes, aubergines, peppers, pumpkins, chard, globe artichokes, beetroot and herbs - but it has also brought its little share of problems. 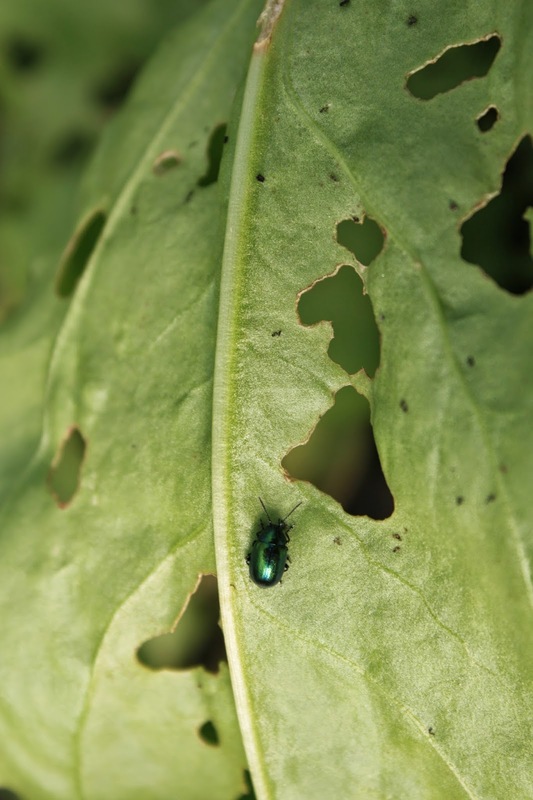 Dock beetle on French sorrel. 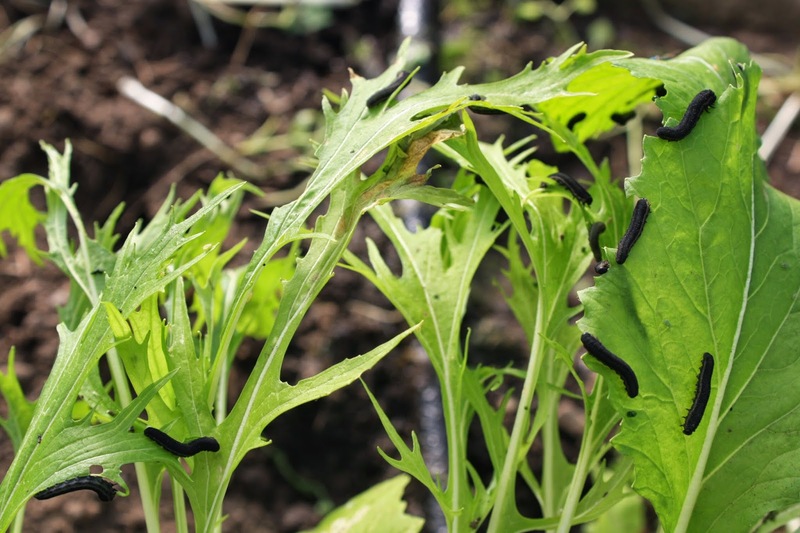 Turnip sawfly larvae on salad leaves. 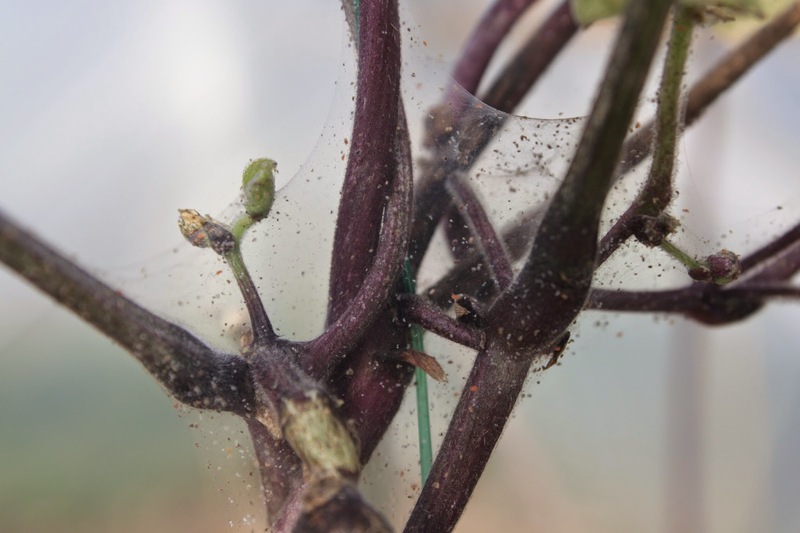 Red spider mite on French beans. All of these examples are in our polytunnels, photographed today - if anybody has any tips on organic methods of discouraging these insects please post them here - thank you! 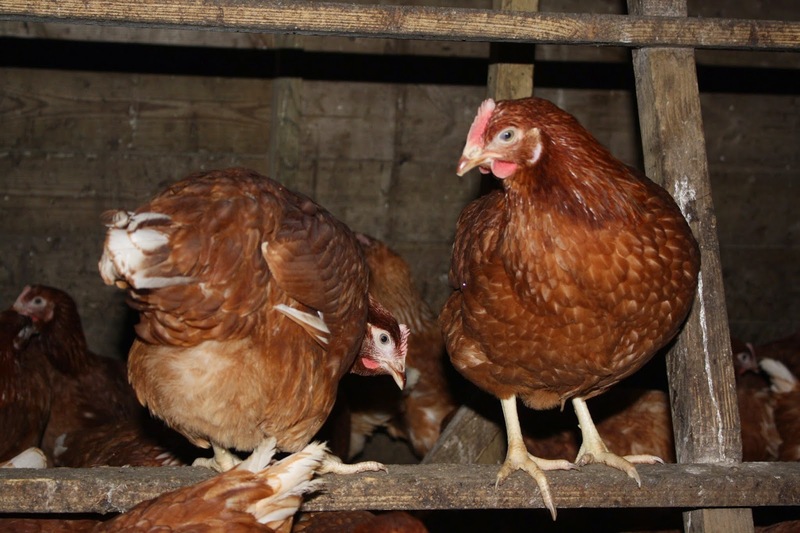 The farm's latest arrivals came all the way from Launceston last Tuesday - 120 point-of-lay Colombian Black-tip hens. They have settled into their new home well, with more venturing outside the shed every day, and we are currently in the nightly process of teaching them how to perch. We have been suffering a shortage of eggs over the past few months (due to various factors including fox attacks, rats, wild birds, dilapidated sheds, and aging hens), and we apologise for this. Most of these wrongs have now been righted, and when our new birds start laying we will have plenty of eggs again. 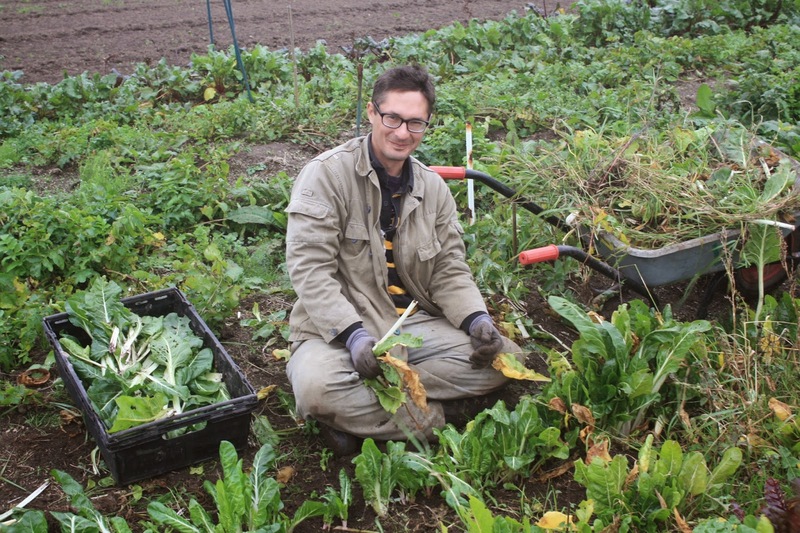 We would like to thank Njal for his valuable input to the farm for the ten days he was volunteering with us (especially with the wheel-hoe! ), and wish him all the very best on his onward travels - keep wwoofing! 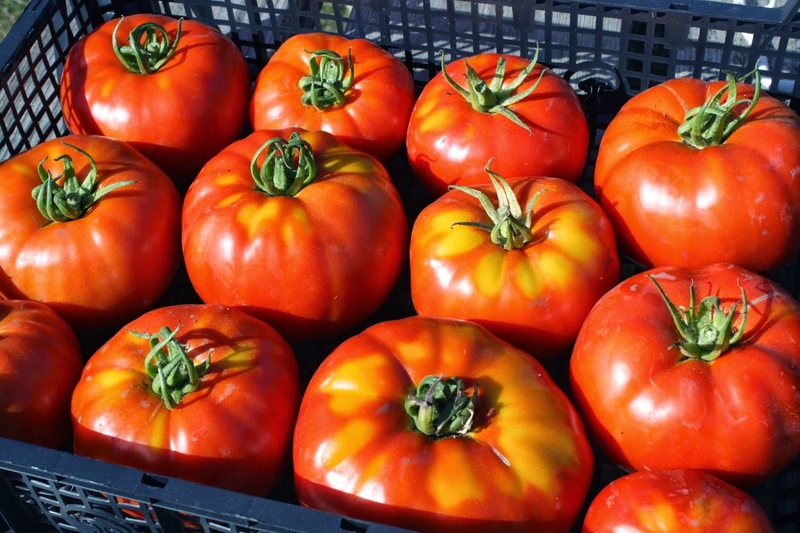 Betty F1 bush tomatoes. We may try these again, but train them up a string instead of leaving them to sprawl. 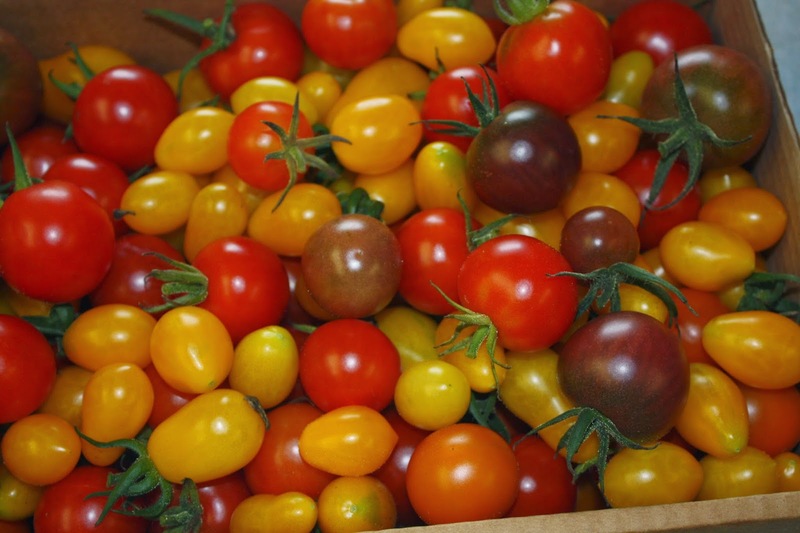 A selection of our cherry tomatoes. 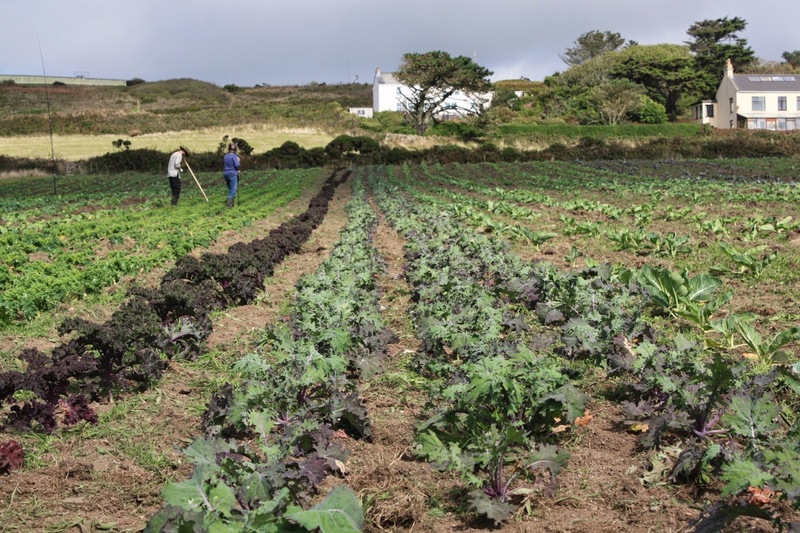 Njal and Jenny hoeing the kale. 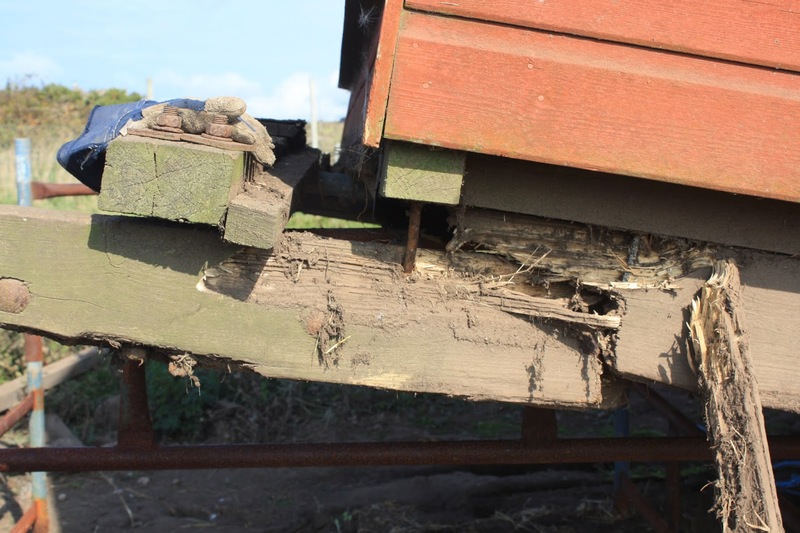 The good old Cornish weather has gradually rotted the skids on our three chicken sheds, meaning that we couldn't move them around the field onto fresh ground as we would like, before repairing them. Thankfully we eventually managed to persuade a carpenter to come and replace them so we could move them before the winter set in. One of the broken skids. Raising and supporting the sheds to allow work. Kit, Stephan and Adam finishing the final shed. 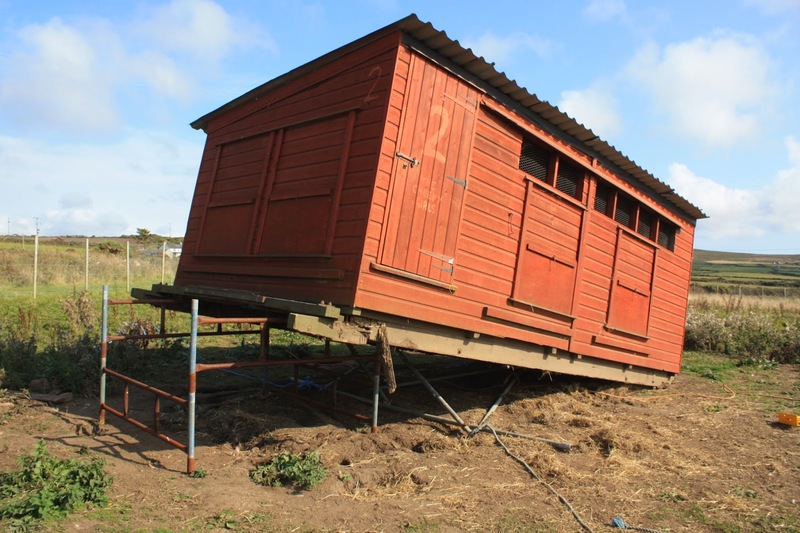 Each end of each shed had to be carefully lifted by tractor, then supported with two sets of scaffolding to allow the work to be carried out safely. The skids (which support the whole shed, like two enormous skis, allowing us to drag the sheds by tractor) and cross-beams needed replacing, which took six days of work - but we completed the job today and all three sheds are now on fresh ground. 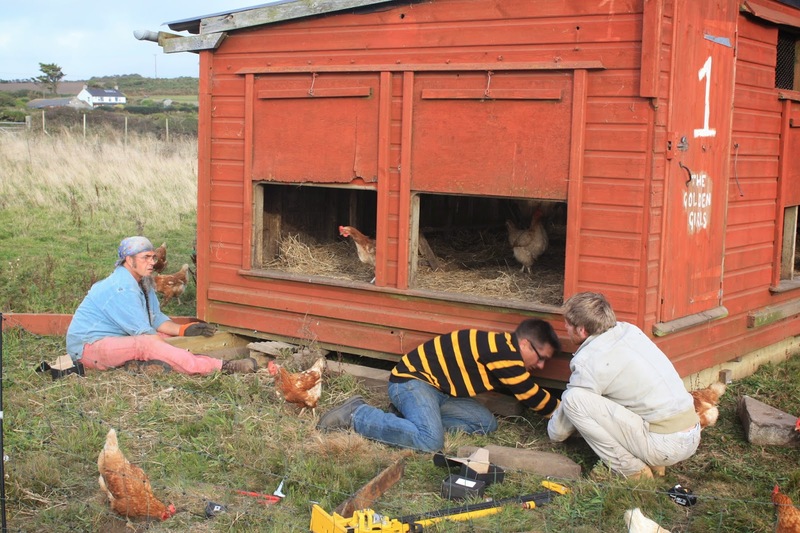 This also entailed swapping chickens between sheds, which is easiest done at night by torchlight whilst the chickens are roosting and docile, carrying two at a time from one shed to another, meaning working late into the evening for three nights. 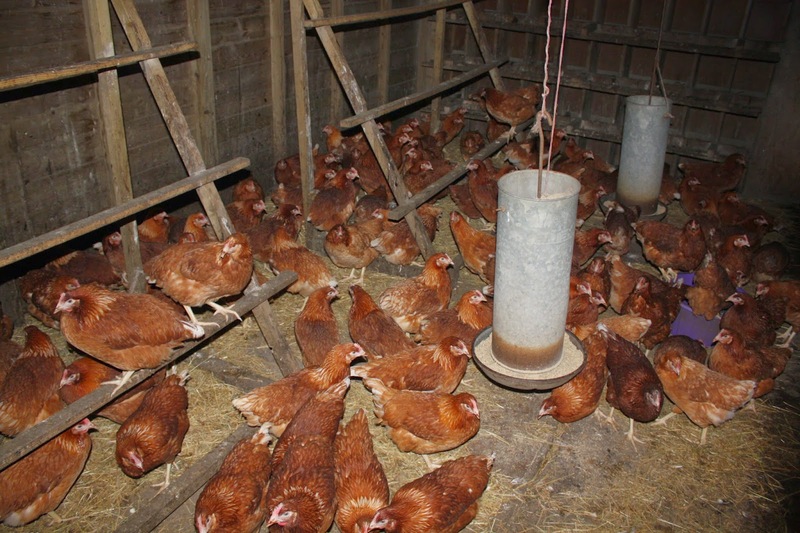 We are now ready to welcome our new flock of 120 point-of-lay chickens which arrive on Tuesday - this will mean an end to the current egg shortages! 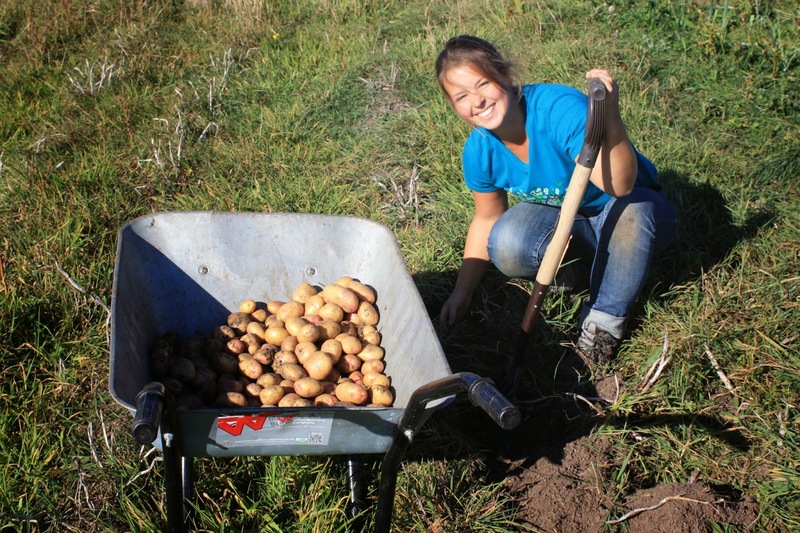 Many thanks to Julia, from Austria, for all her help during two weeks volunteering here on the farm.